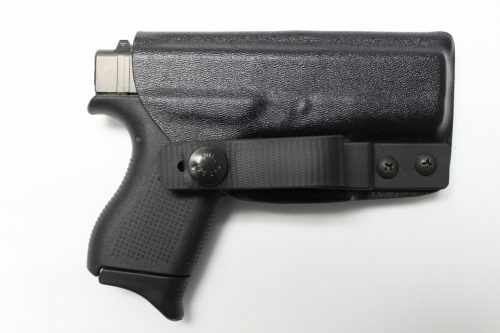 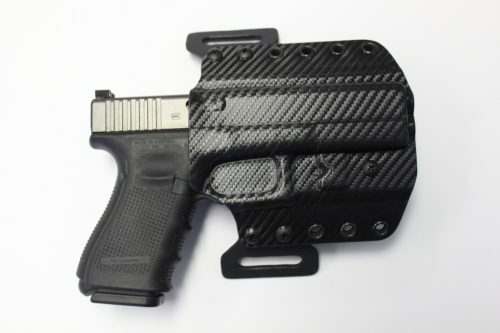 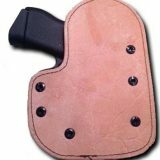 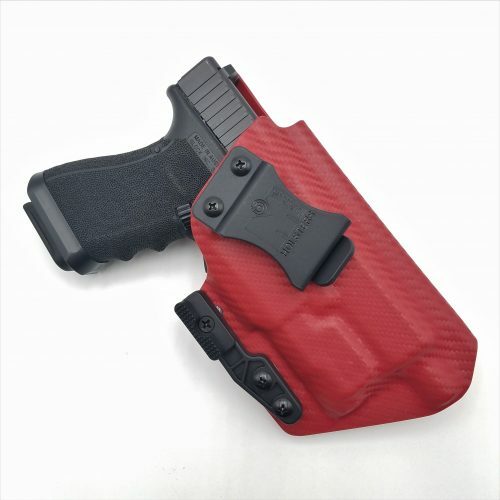 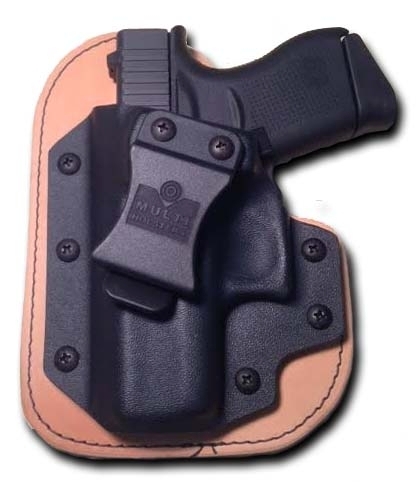 Worn inside the waistband [IWB], the Mini Hybrid holster fastens securely onto the outside of a 1.5″ or 1.75″ belt with with a Standard Fold Over Mold Injected Clip [FOMI] with two Chicago screws on a piece of 9-10 oz. 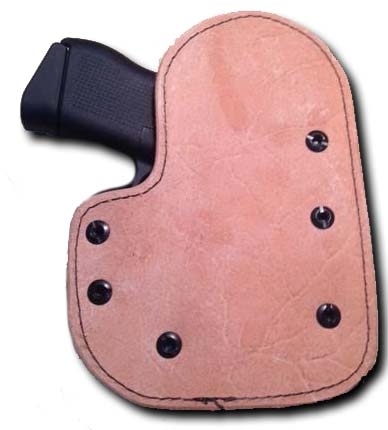 cowhide to conceal weapon. 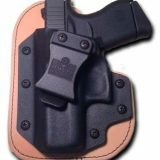 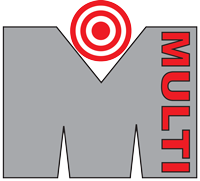 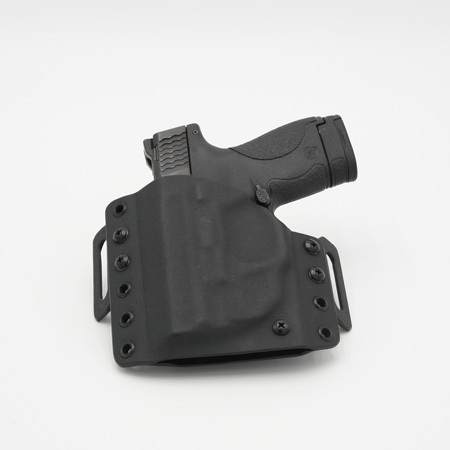 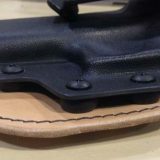 FOMI is a reverse style clip to easily attach and remove IWB holster from belt. 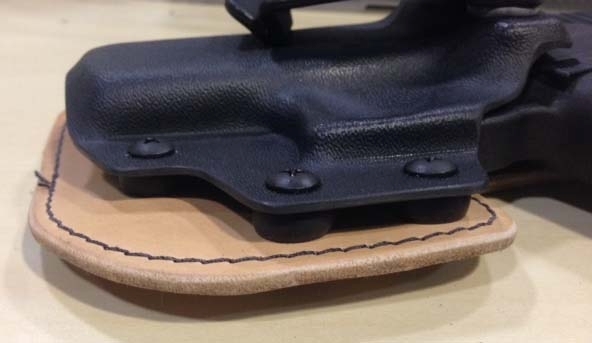 Adjustable retention as leather ages and becomes more pliable to pull it closer to the body.